A former professor at Kayseri’s Erciyes University, Y.C. 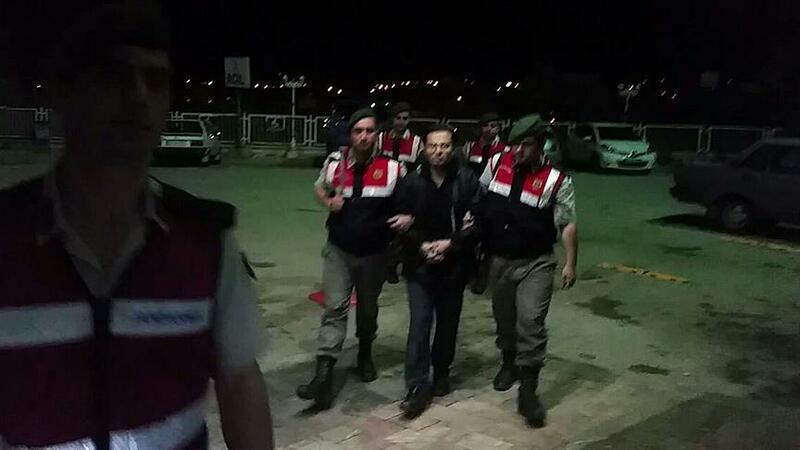 was detained along with his father O.C., in Turkey’s border province of Edirne on Monday. 41-year-old professor who was earlier dismissed from his post over alleged ties to the Gulen movement; and his father, aged 65 years old, was caught by gendarmerie forces near the Greek border in Edirne. According to Anadolu news agency, the pair was set to illegally enter Greece, fearing from further persecution in Turkey, which pinned the blame for the July 15, 2016 coup attempt on the movement. Y.C. is among thousands of academics the government put travel on passports in order to prevent them from escaping its crackdown. More than 120,000 people have been detained and some 50,000 including academics, judges, doctors, teachers, lawyers, students, policemen and many from different backgrounds have been put in pre-trial detention since July 15, 2016.